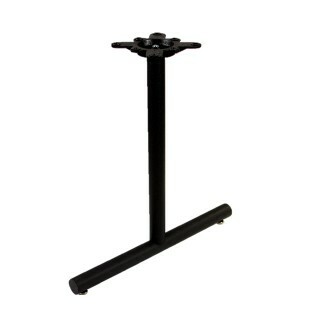 Our cast iron Starline Series table base has a standard height of 28" (bar height of 41" available for an added charge) with base dimensions of 2" x 26". This item comes standard in a Black Wrinkle finish or special order an alternative powder coat color. Up To 36" x 96"